I love the idea of a pedometer you don't have to clip onto your clothes and a heart rate monitor without a chest strap, two stand-out features of the Mio Stride. This is a good choice for walkers who want all the options of a pedometer (steps, distance, calories burned and pace) with the added bonus of heart rate capabilities. Unlike monitors with a chest strap, you won't see a continuous heart rate. Instead, you use the sensors to get a reading throughout Oyour workout. I did have problems getting my heart rate at times, but the pedometer worked well and I liked having an alternative to clip-on pedometers. The watch includes two sensor pads on the top and bottom to measure heart rate and 4 buttons on either side that allow you to navigate through different screens. Like many heart rate monitors, you'll need to read the instructions to figure out how to set up and navigate your Mio. Set up is simple, but you may need to keep the instructions with you until you learn how to get from one screen to another and perform different functions. For example, I wanted to reset the step count during my walk and spent a few frustrating minutes figuring out that the pedometer had to be off to do so. The initial set-up of the Mio involves entering basic information, such as weight, gender, height and stride length. Once you've done that, your Mio is ready to use. You simply navigate to the pedometer mode and hit the start button. You can periodically check your heart rate by putting your index and middle fingers on the leads on either side of the watch. It takes several seconds for your heart rate to display, and you have to make sure the watch is snug against your wrist to get a good reading. Heart rate zones - You can set these manually or let the Mio set them based on your age and gender. Keep in mind that the formula used is based on the standard maximum heart rate formula, 220-age. While common, it isn't always the most accurate formula. Easy to use -- Though navigating some screens requires practice, the basic functions of the pedometer and heart rate monitor are easy to use. You can easily see the numbers as you're walking. 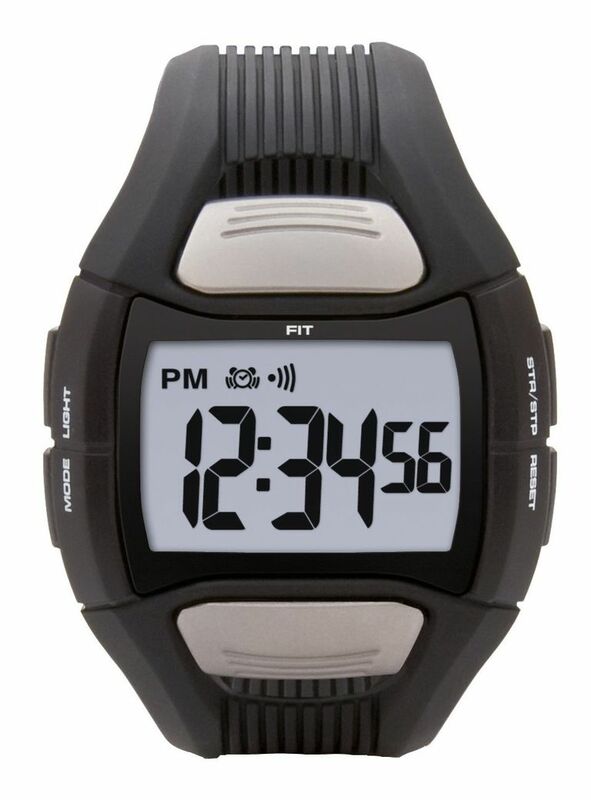 Accuracy -- The Mio does take a few steps to start counting but, once you get going, the pedometer is accurate. Simplicity -- I like tracking the basics (calories, distance and pace) without extraneous or confusing features. No chest strap required -- The Mio, while not my choice for structured workouts, is great for spontaneous walks or just tracking steps on a typical work day. Accurate heart rate -- I compared the Mio with my other HRM and found that the heart rate was the same on both watches. Decent price -- At $69-$80, the Mio is comparable to other similar heart rate monitors. Difficulty getting a reading -- During one walk, I tried more than 10 times and only got a reading 3 times. The manual recommends wetting the leads and back of the watch to improve contact and I even tried standing on one leg and whistling Dixie, none of which worked. Navigation -- Figuring out how to get from one mode to another takes patience and practice. No continuous reading -- I liked the Mio for walking, but not for regular workouts. I like seeing a continuous heart rate and having to stop my workout to check my heart rate (and not getting it more than 50% of the time) was frustrating. Uncomfortable -- The Stride isn't huge, but the band is thick, stiff and a bit uncomfortable. How Good is the Philips DirectLife Advanced Activity Monitor? Is Zumba Fitness for Wii the Right Exergame for You?